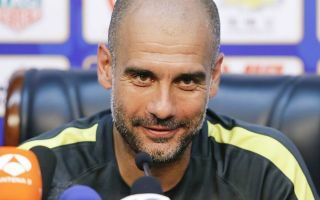 Manchester City manager Pep Guardiola has commented on transfer gossip linking his club with a stunning £100million move for Wolves midfielder Ruben Neves. Perhaps unsurprisingly, the Spanish tactician has rejected claims his club would spend quite that much on the Portugal international, though he did not rule out a move for the player in general. ‘A month ago, I started reading ‘Ruben Neves, £100million,’. That’s not going to happen. We’re not going to pay £100million for a holding midfielder,’ Guardiola is quoted in the Daily Mirror. ‘Specifically Fernandinho’s role, it’s so difficult to find. He knows the Premier League, after three years together here, he knows everything and that’s so important. Neves looks one of the finest young players in the world in his position, and it’s easy to imagine he could fit in well at City or other top European clubs. While £100m is a lot, it surely isn’t out of City’s price range and is increasingly becoming the going rate for the world’s top players these days. If City don’t pay up for the 21-year-old, one imagines other big names will be willing to come close to that asking price before too long. And given Fernandinho’s importance to City, Guardiola is kidding himself if he thinks he can replace the Brazilian veteran on the cheap.